Winmate's Experience Tour at the Computex Exhibition Debuts the latest product series. This Includes Bus Signage Bundle, Zoo Signage Bundle, and the Education Bundle. 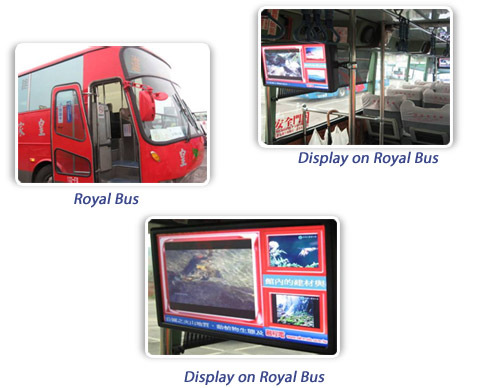 At the installation site of the Royal Bus Company, two screens are installed into the bus. The screen beside the driver's seat is the master display showing the advertisements on the display. The signal transmits to the second display located in the middle of the bus. The central power management unit is integrated with GPS and 3G modules into the optional solution, updating the contents by 3G routers. For the GPS, we set up the trigger event to show the specific contents when the bus enters the trigger zone. The CPM box prevents the unstable power current and extreme Temperature from damage to the display units. 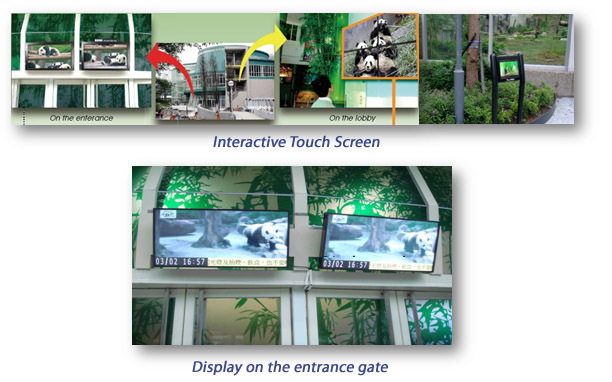 At the entrance gate to the Panda House, Winmate has set up two 42 inches Military Grade digital signage displays. These provide updated information and videos of 15 " and 42" displays installed at the entrance housing to the panda hall fully protect the panels from the moisture and dust. In front of the Panda House. An interactive touch screen, and videos on two 19" display educate and entertain people waiting in the queue. 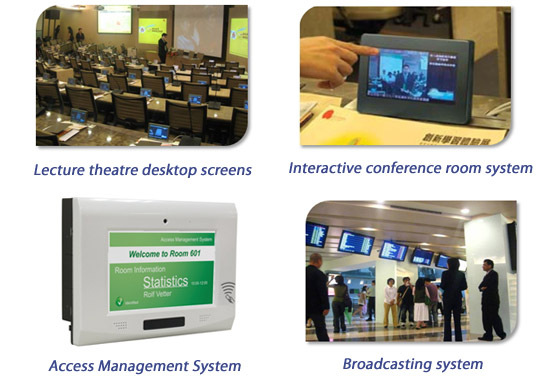 -Small touch displays with MSO Pro software for Powerpoint slide shows, and questionnaires by touch screen. -Students and visitors receive the latest campus information from the displays. -Provides security for the campus, allowing only those with access card to pass through the entrance.